Dr Weng Ng is an eye surgeon with a subspecialty interest in Cataract surgery and Glaucoma surgery. He also has skills and experience in managing Medical Retina conditions. Weng graduated from The University of Melbourne with an Honours degree in 1999. He was the recipient for RANZCO Undergraduate Ophthalmology Prize for Victoria, Keith Levi Memorial Scholarship for Medicine and RD Wright Prize for Physiology. He completed a Master in Public Health at James Cook University before starting his RANZCO Registrar training at Sydney Eye Hospital and Prince of Wales Hospital. That was followed by a Glaucoma and Anterior Segment Fellowship in Perth where he performed complex Cataract surgery, Glaucoma surgery and Anterior Segment surgery. He published multiple articles in international journals during and after his training. 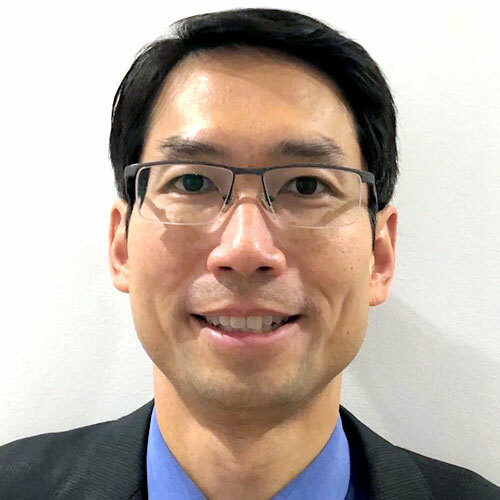 Following the conclusion of his Fellowship, Weng returned to Melbourne and became a Consultant at the Royal Victorian Eye and Ear Hospital, The Alfred Hospital and he has also established a busy private practice. He was actively involved in the teaching of trainee ophthalmologists and optometrists, including presentations at the Australian College of Optometrists. Affectionately known as 'Dr Weng' among his patients, he employs personally tailored treatment plan for each patient. He has extensive experience in Cataract Surgery, including implantation of Presbyopic Correcting IOL and Toric IOL in suitable patients. He also utilizes MIGS implants, including XEN and i-Stents for his Glaucoma patients who need Cataract surgery concurrently or as a standalone procedure. Weng also practices Adult Comprehensive Ophthalmology including intravitreal injections for AMD, retinal vein occlusion and diabetic maculopathy. He is a Designated Aviation Ophthalmologist for CASA. Weng and family relocated to the Gold Coast in 2019 for family reasons. He consults at both Southport and Robina consulting rooms. Weng is fluent in Mandarin and Cantonese.